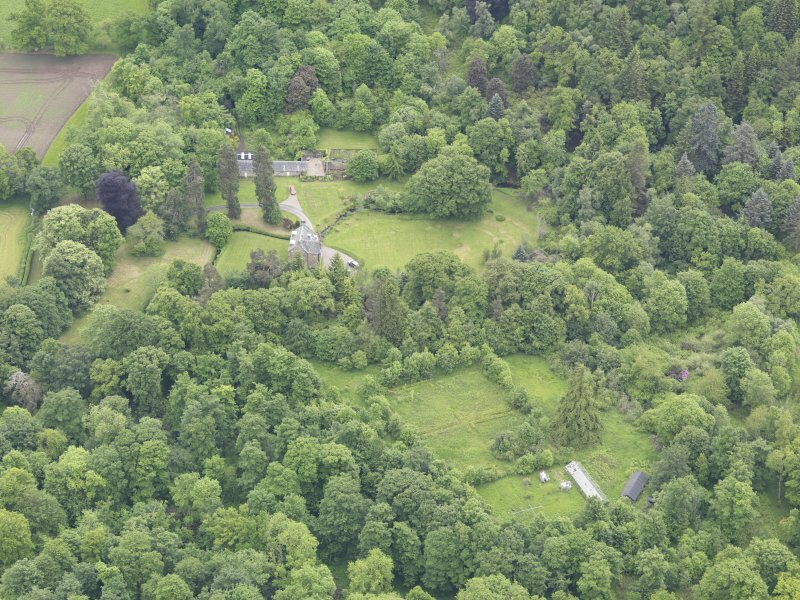 Oblique aerial view of Keltie Castle, taken from the NE. 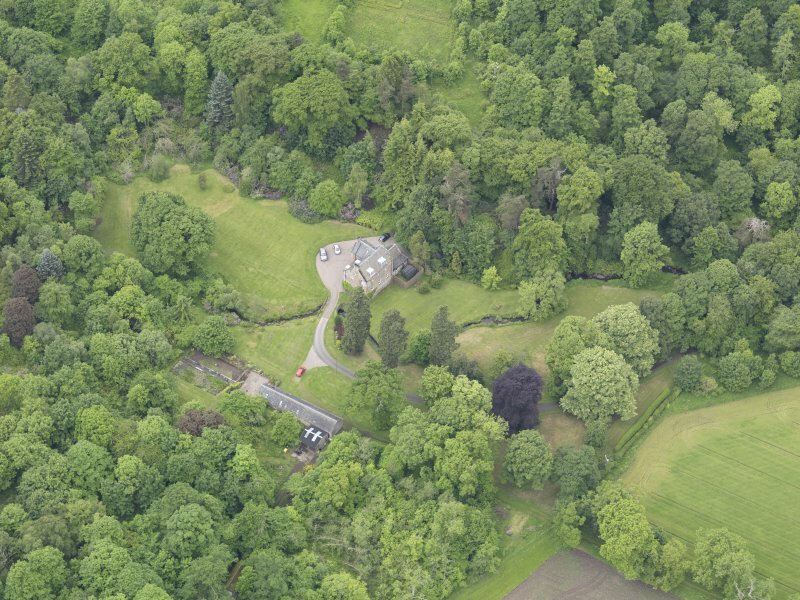 Oblique aerial view of Keltie Castle, taken from the ENE. 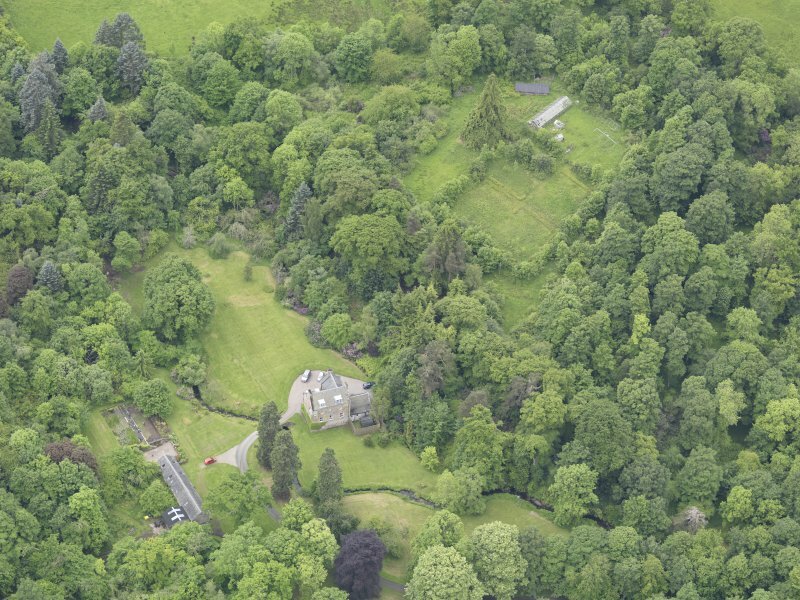 Oblique aerial view of Keltie Castle, taken from the N.
Oblique aerial view of Keltie Castle, taken from the WNW. 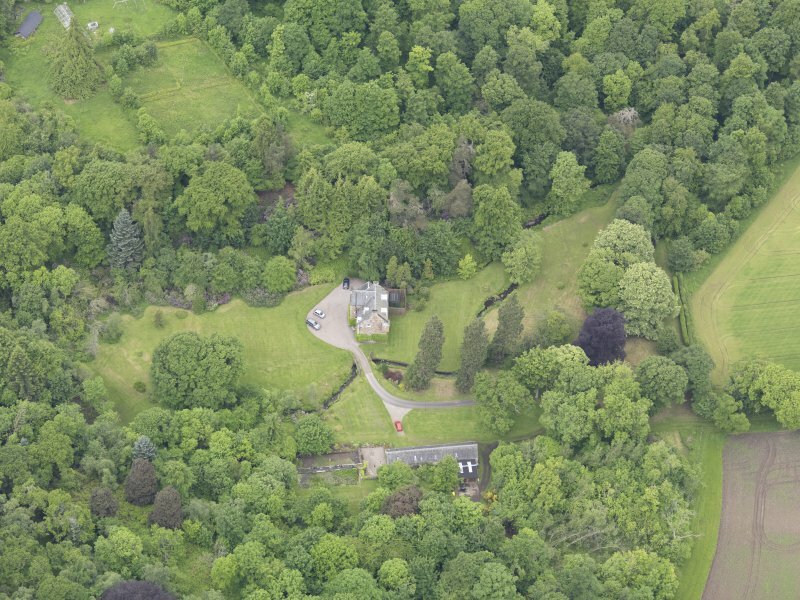 Oblique aerial view of Keltie Castle, taken from the SW.
Oblique aerial view of Keltie Castle, taken from the ESE Oblique aerial view of Keltie Castle, taken from the W.
Oblique aerial view of Keltie Castle, taken from the NW. 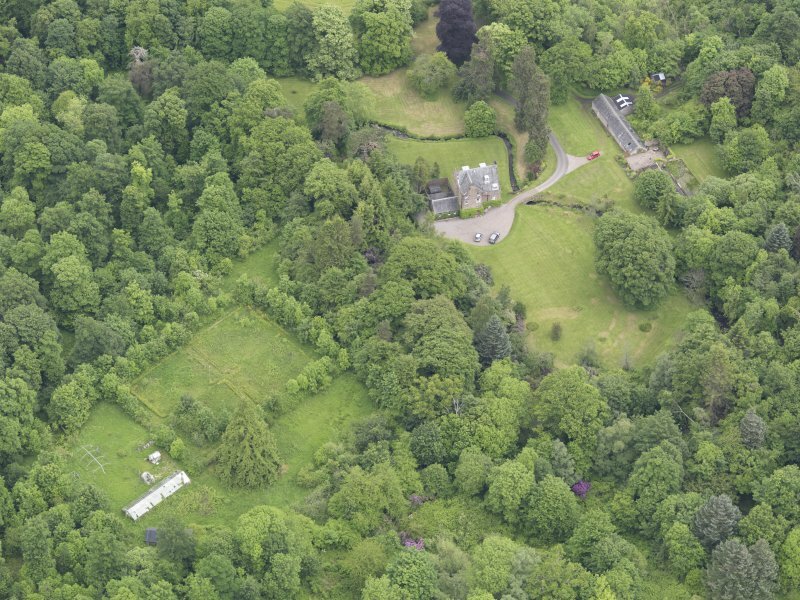 Oblique aerial view of Keltie Castle, taken from the ESE. 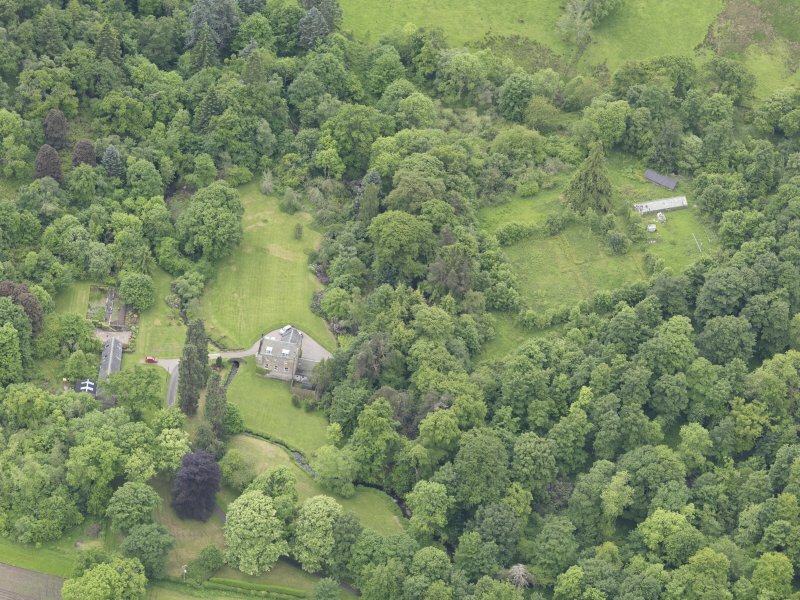 Keltie is a small laird's house, the date 1600 over the doorway agreeing with the general style, but possibly incorporating earlier work. 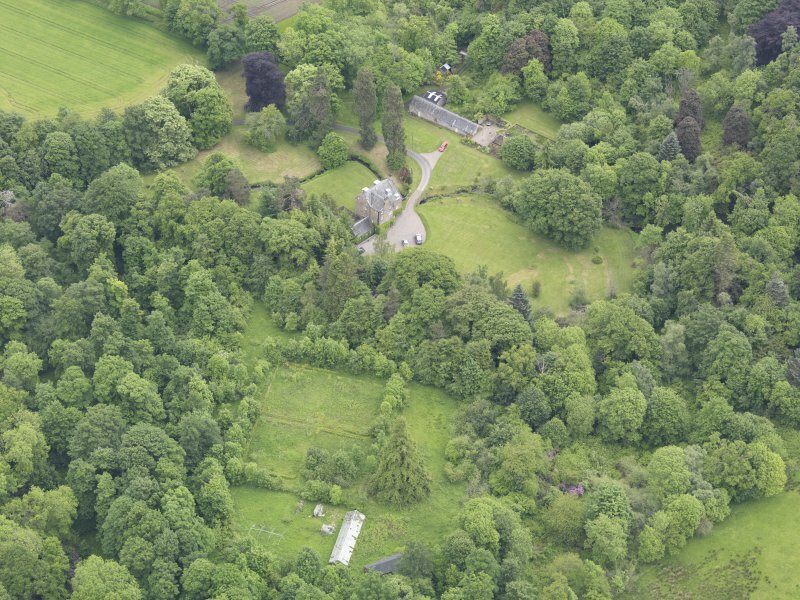 It is an L-shaped building with an unusual turret corbelled out on the east gable with five shot-holes. There are other shot-holes elsewhere and a stout iron grille over a first-floor window. 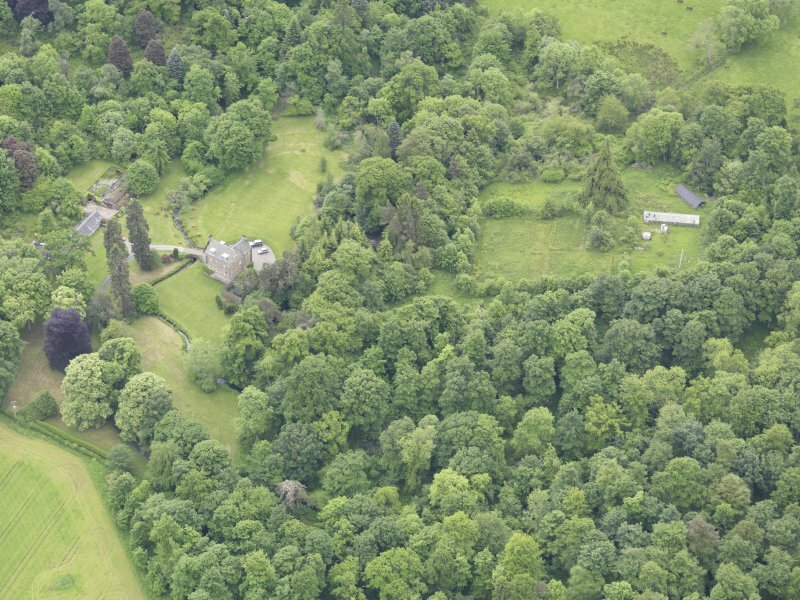 Keltie Castle is as described by Tranter. The exact date of construction was not established. Visited by OS (WDJ) 8 November 1965.